City Council directs city staff to study the issue and return by fall with a proposal to reduce use of the items, which are a major source of litter and harm wildlife. The city of Portland is joining the international movement to restrict the use of plastic straws and other throwaway plastic utensils at restaurants and bars. The Portland City Council adopted a resolution late Wednesday afternoon that directs the city Planning and Sustainability Bureau to "introduce a single-use, non-recyclable plastic reduction strategy, including plastic straws" by Oct. 1. Plastic items are one of the most common forms of litter along roadsides, streams and the ocean, and in many cases the plastic endangers wildlife that winds up ingesting it. Plastic doesn't biodegrade naturally in the environment, Planning and Sustainability Bureau director Susan Anderson said at a brief City Council hearing to consider the proposal, introduced by Mayor Ted Wheeler. "That means they're pretty much here forever," Anderson said. 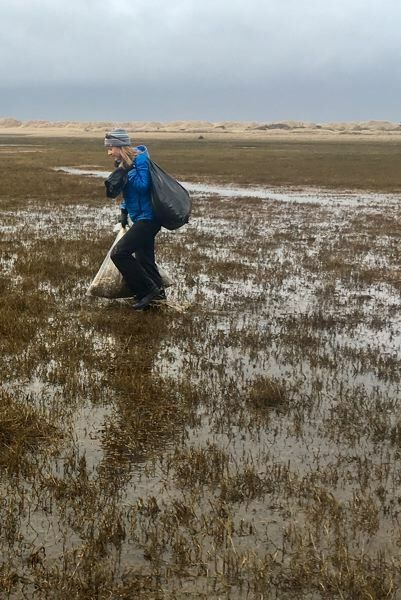 Though plastic does disintegrate into smaller chunks, that actually makes it worse for wildlife, especially in the ocean, where various species wind up eating it, she said. More than 660 species have been adversely affected by plastic trash, said Nancy Nordman, a volunteer who has led the local "Ditch the Straw Campaign," a project of the Portland chapter of the Surfrider Foundation. The foundation and others brought the issue to Wheeler for consideration. So far, some 100 businesses, mostly in Portland, have voluntarily joined the movement or contributed to the campaign, including Portland's Widmer Brothers brewing company and Burgerville, the Vancouver, Wash.-based chain. Planning and Sustainability Bureau staff will study the experiences of other communities that have enacted plastic straw and similar bans, Anderson said, and will report back on "best practices." The bureau also will consult with the restaurant and bar industry and others who use straws and other non-recyclable plastics. Wednesday's council vote should put commercial establishments on notice that they may want to use up their stock of plastic straws and similar items before any ban takes effect. City staff will evaluate the need of some institutions, such as hospitals and care centers, to have exemptions where people need to use straws. As Commissioner Chloe Eudaly pointed out, some people have disabilities that make it hard to drink without a straw. However, as Commissioner Amanda Fritz pointed out, bendable straws can be made out of paper, which does break down in the environment. A sustainability director for Widmer said that company has found that paper straws are, ironically, more expensive to buy than plastic straws. However, because the company now only serves paper straws when requested, it winds up saving money. When Wheeler was asked about his proposal to restrict plastic straws Wednesday morning, where he was addressing a Portland Business Alliance breakfast meeting on homelessness, the mayor whipped out a metal straw from his pocket. Wheeler said he hoped that the bureau's efforts, including reaching out to the public and the hospitality industry, could help win broad support in the community by the time the proposal comes up for council action, perhaps in October. But Wheeler urged Anderson and her staff to come up with an aggressive strategy. "I hope it's comprehensive and I hope it's on the edgy side," he said.